As of March 26, 2019, 730pm, I can see Insta360 VR available on the Oculus store. Here’s the download link. 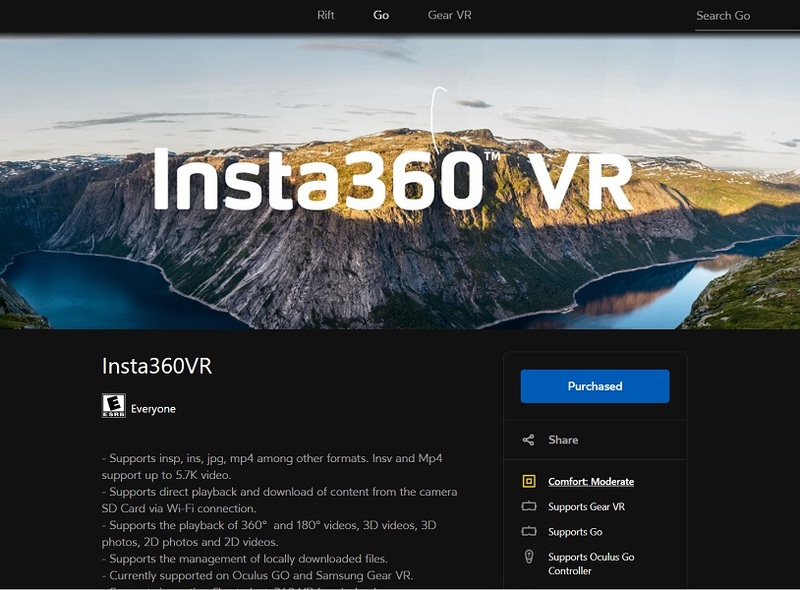 Insta360 VR is an app for Oculus Go and Samsung Gear VR to enable wireless viewing of photos and videos from Insta360 One X and Insta360 EVO. Here’s a tutorial. Is anyone else here bummed they didn’t release it for Google Daydream as well? I’m not surprised, but I’m still disappointed. I have gone to the Oculus store on the desktop, but It hasn’t downloaded onto my phone. Does this work on samsung galaxy s7, but can’t find the requirements for the Insta360 VR app for Gear VR.